When your refrigerator stops working, it can feel like a major catastrophe. Fortunately, many modern refrigerators are programmed to provide an error code when something is not functioning properly. This can help you to troubleshoot the machine and, if necessary, explain to a repair technician what is wrong. LG refrigerators use as many as 24 different error codes to signal problems, depending on the model you have. Recent and popular models like the LMXS30776S, LUPXS3186N, LNXS30996D and LFXS29766S offer french doors, LCD displays and multi-door options requiring a variety of error codes. Some error codes are common amongst recent models and require only quick fixes. Others require the assistance of a technician. If your refrigerator reads "OFF," it means that it has been put in demo mode. It is very easy to switch this on your own. 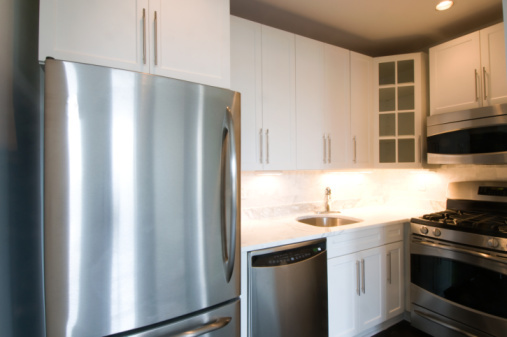 With the door to the unit open, press and hold the "Refrigerator" and "Ice" buttons at the same time. You will hear a beep once you have held the buttons for five seconds. Then, the temperature display will populate with numbers. This means the refrigerator is out of demo mode and ready for use. A code reading "FdH," "rdH" or "Erdh" means that the refrigerator has attempted to defrost for over one hour and cannot do so successfully. To troubleshoot, unplug the unit for two minutes. During this time, the internal system should reset. 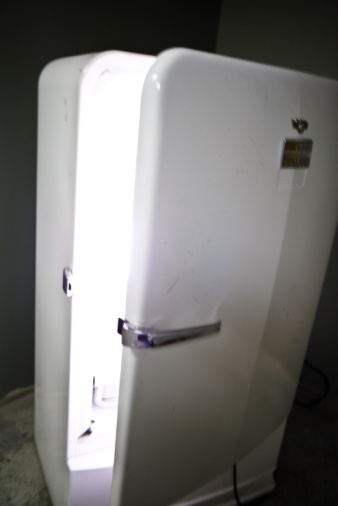 When you plug the refrigerator back in, it should be able to resume its normal defrost cycle. If it cannot do so, you will need to call a repair technician. A code reading "gF" means that there is an issue with flow sensing or water pressure in your LG refrigerator. This could manifest itself in an ice dispenser that is overflowing with water. To troubleshoot, partially increase the water pressure. If this does not work and the error code persists, request the assistance of a maintenance tech. Other error codes are unfortunately only useful in their diagnostic abilities, and associated malfunctions require the assistance of a professional. An error code that reads "IS" or "15" means that the ice maker sensor or ice maker fan motor is damaged or disconnected. This type of problem will require repairs to be made to the unit by a skilled technician. If your unit displays a "22," this means that there is a problem with the compressor relay in the refrigerator. This code also indicates a mechanical malfunction that will require repairs by a technician. A "67" error code means there is either an object restricting the door from closing properly or that there is a gap in the door. If you move any objects near the door out of the way and the error code persists, you will need to invoke the assistance of a repair person. A "CF" error code means there is a problem with the fan at the bottom of the refrigerator that dispenses heat from the condenser. This type of malfunction will also require repairs by a trained technician. Similarly, a "CO" error code indicates a problem with the communication between the control board and the display. Since this is an electronic issue, you will need to call a repair person for assistance. A "C1" error code indicates a communication error between the LCD screen and the dispenser. This problem will need to be investigated by a repair technician.